The growing USD is putting pressure on JPY. 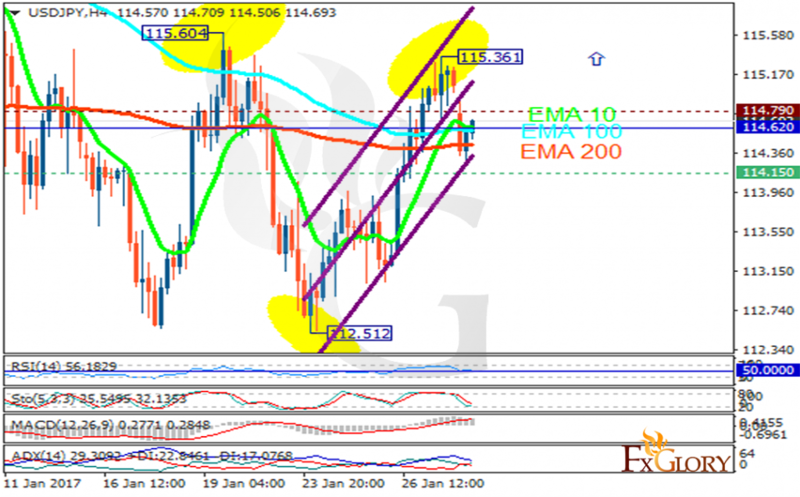 The support rests at 114.150 with resistance at 114.790 which the weekly pivot point at 114.620 is located in between the lines. The EMA of 10 is moving horizontally and it is above the EMA of 200 and the EMA of 100. The RSI is rising above the 50 level, the Stochastic is showing downward momentum and the MACD indicator is in positive territory. The ADX is showing a buy signal. The pair will continue its bullish trend targeting 116 area.